Proving that no subject matter is off limits, I made two versions of the Beckley Furnace (and submitted one) for an exhibit featuring the “Northwest Corner” of Connecticut. 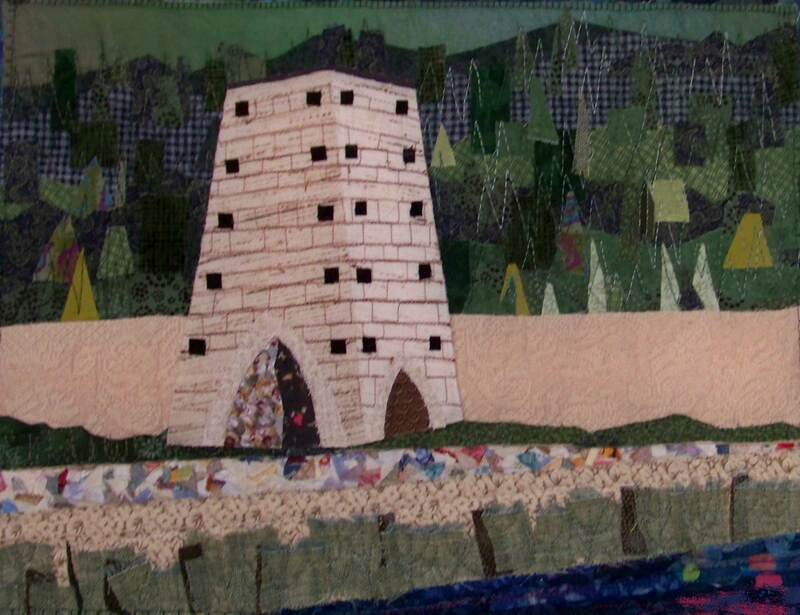 The first version of the Beckley Furnace is collaged, where the second version is pieced with embroidery details. Beckley Furnace I was also juried into the SAQA Local Color: CT Stories show. The Beckley Furnace, located in North Canaan, CT, is a state-owned historic site and is on the National Register of Historic Places. Built in 1847, and continuing in operation until 1919, it was built for the production of pig iron.